In the near future, women of the world have gradually become infertile until eventually, no more humans are being born. By 2027, the world is in chaos as humans face extinction. Highlighting their plight, ‘Baby Diego’, the world’s youngest human is killed in a John Lennon style fan-meeting-gone-awry scenario at the age of 18. 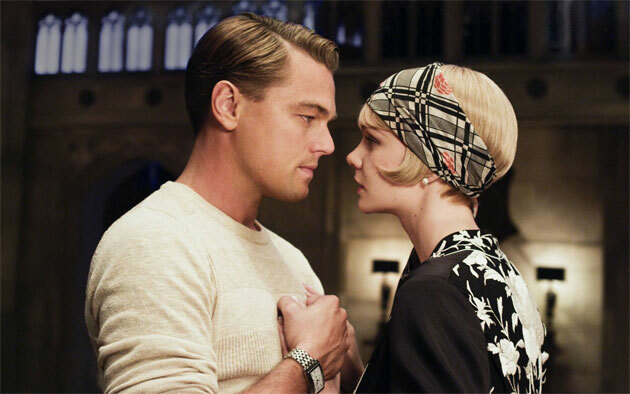 The film focuses specifically on characters in England. We learn the rest of the world has fallen into disarray through bombings, various other acts of terrorism and so forth. But England has stood tall thanks to a tough stance on immigration. Anyone not carrying a British passport is rounded up in cages and sent to Abu Ghraib, er…Bexhill immigration camp. This is the reaction the government has had to combat lawlessness and to find a scapegoat to blame on the infertility problem. It is brutal and inhumane but in Children of Men, there are only smoldering ruins of lawless countries and police states that remain. Enter Theo, a disgruntled journalist. In the fine tradition of Rick Blaine from Casablanca, he loved a woman once, fought for a cause he believed in long ago but now is out for himself and is only interested in self preservation. Theo’s old flame Julian (Julianne Moore) appears on the scene and leads him to Kee, the world’s first pregnant woman in 18 years. Theo takes on the job of leading her to safety out of England. There is talk of a group outside of the country called The Human Project that could look after her. Can he lead her there in time? Does The Human Project even exist? 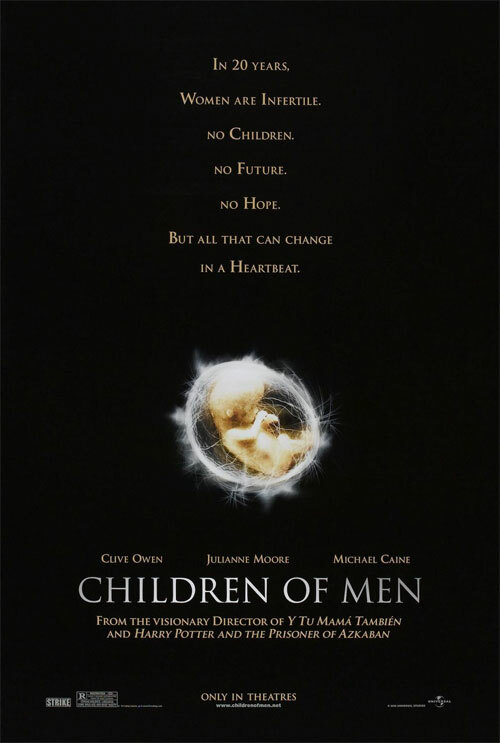 Children of Men is a film directed by Alfonso Cuaron and it carries his trademark visual flair that was shown off in The Prisoner of Azkaban and Y Tu Mama Tambien. Although thematically similar to V For Vendetta, Cuaron’s futuristic London looks a lot grittier and realistic, and is very similar to City 17 from Half-Life 2. Whether it’s intentional or not, some of the film’s most intense action sequences also seem to borrow from camera-work in video games. There are some excellent tracking shots that follow Theo through war-torn streets that are particularly reminiscent of video game shoot ’em ups. The film has an extremely quick pace and interlaces its action sequences with only brief pieces of exposition which serve largely to move the plot along. So its a credit to the actors that they are able to draw us into their characters in the time that they are given. I was a little worried when I saw the film’s trailer that the ending would be too predictable. The film’s introduction also seemed a little bit, well, blunt. The pregnant woman is called Kee, which is one step short of calling her “Important Plot Device” and the boat which they need to take her to safety is called “Tomorrow”. Not one for subtleties is Mr Cuaron. However, Clive Owen’s character Theo is smartly written and he defuses what seems to be a predictable end to the film by voicing the audience’s concerns that The Human Project doesn’t exist. And if the film is self-conscious enough to know that, then it casts doubt in your mind about what will really happen by the time the credits roll. This was easily one of my favourite films of the year. 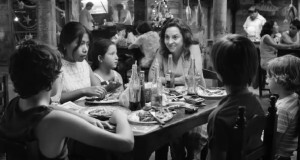 The story is exciting and Cuaron has created a believable world populated with involving characters. There are moments of humour to offset the depressing setting and memorable cameos from character actors such as Michael Caine as a pothead mentor to Theo and Peter Mullan as Syd the crazy immigration officer. It’s also quite a poignant film. It’s the second film this year that touches on immigration in the U.K and is a great film for encapsulating the fear and foibles of overpopulation, immigrants and civil liberties in the world today. When all the women of the world are simultaneously unable to conceive, the human race finds itself facing extinction. Summary : A classic science fiction drama that features tense drama, thrilling action and a wonderful performance from Clive Owen.